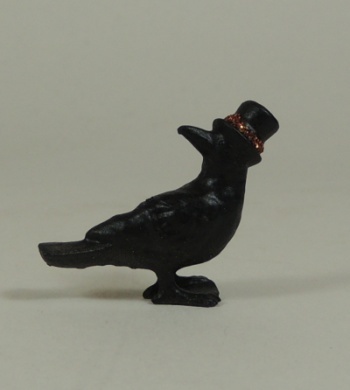 Fabulous crow in top hat. Super easy to paint, you can even use black spray paint. Decorate the hat band with a bit of fine glitter and you have a great looking addition to your Halloween scene.